Buying a home can seem like a frightening prospect, especially for first time home buyers. Since this is your first home purchase, you may feel overwhelmed as so much is at stake — your savings, your credit rating, your financial freedom. *Begin your search for a perfect home by making a careful assessment of the kind of a home you need and want. I recommend that you take the time to do this in writing. Take time, right now, to be as specific as you can about your particular requirements. *Set up a budget for yourself. Decide how much you can really afford to invest monthly for your house payment. Be realistic here. Most Lenders want your payment to be no more than 28% of your total monthly income. *You can save yourself a lot of time and heartache by meeting with a Lender before you start your search for a home. *A Lender will let you know what specific loan programs would be best for you, based on your income, debts, assets & credit history. *Apply for a loan to obtain a “Pre-Approval”. This means that your loan is approved up to a certain dollar amount. You will be provided with an estimated monthly mortgage payment and anticipated closing costs based on this loan amount. *The next step is finding a home that also qualifies for the loan. *You can learn a lot about an agent by just letting them discuss with you how they help buyers. Within a few minutes, you will probably be able to determine if their style is compatible with yours. *REALTORS are members of the National, State & Local Board of Realtors, which is a trade organization whose members subscribe to a strict Code of Ethics and Standards of Professionalism. Keep in mind that not all licensed agents are REALTORS! *What procedure will the agent follow in working with you? How often will they update you with new property listings? *Can you represent me as my Buyer’s Broker? *Ask as many questions as you can upfront. By finding a good Realtor, you will save yourself huge amounts of time and effort. *Keep an organized record of all your research data. Write down comments about the homes that you see. Keep track of your likes and dislikes. *Make sure your agent is aware of your time schedule and expectations. Do you like to look at one or two homes in a session? Four? Eight? Discuss this with your agent. *Express your likes and dislikes to your agent after you tour each home. Honest communication is essential. Many buyers are shy and afraid to tell an agent what they really think of a house. They think the agent might take it personally. Remember, the homes don’t belong to the agent! You must be straightforward about your likes and dislikes in order for the agent to do the best job possible for you. *Your Realtor can prepare your offer to buy the home that you want. Typically, agents are “Transaction Brokers” which means that they can represent both parties in the transaction. Ethically, they cannot represent either party exclusively to the detriment of the other party. For example, if they already represent a Seller, they would inform the Buyer to make their best offer and present it to the Seller. If you did not represent the Seller, the agent could represent the Buyer exclusively as a “Buyer’s Broker”. *Choose a low down payment loan. You do not necessarily have to put 20% or even 10% down. You can pay 5% or even 3% down on FHA loans. Qualified US Veterans can obtain zero down payment VA loans. *Have someone give you money (Gift funds) to pay closing costs. A blood relative, church or nonprofit organization can give you money for closing costs. 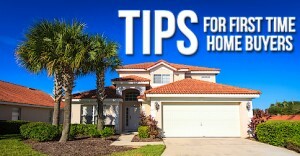 *Ask the seller to pay some of your closing costs as part of your offer. Sellers are usually allowed to contribute to a Buyer’s closing costs. *Shop around for your home insurance. A little shopping can save you money. *You can deduct money paid for discount points from your gross income before computing your income taxes. See a CPA for more information. *Get a loan that doesn’t have monthly mortgage insurance premiums. You may be able to reduce or eliminate them by paying a larger down payment. By putting 20% or more down, you can eliminate them entirely. *Buy down the interest rate by paying more discount points (which is Prepaid Interest) upfront as part of your closing costs. It’s the principle of “Pay me now or Pay me later”. The more that you pay upfront (Discount Points), the lower your Monthly Mortgage payment. *Remember that interest payments and property taxes on a primary residential mortgage are fully deductible in most circumstances. The US tax code certainly favors homeowners over renters. *Choose an adjustable rate mortgage (or ARM), which can be up to 3% lower than fixed rates. Now that you have finished this report, it’s time to go out and find the home of your dreams! Call us 1-407-800-0888 or email us at an@orlandovacationrealty.com for assistance or with any questions.